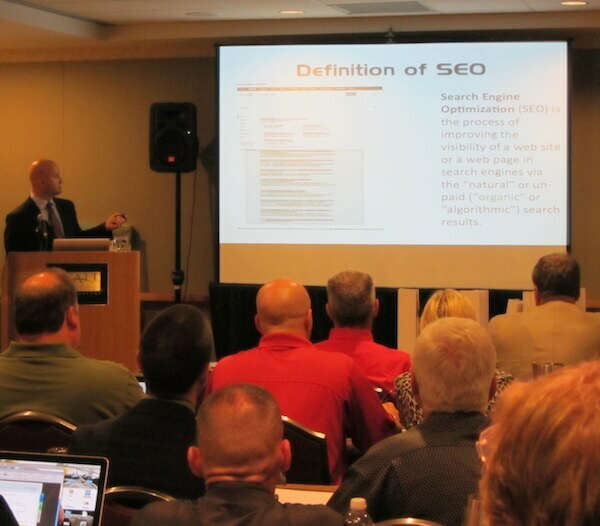 Training and Speaking | DigitalHipster Inc.
Matt Ross has been an invited speaker on the topic of SEO and Online Marketing for several Fortune 500 companies and franchises. He is available for speaking at chamber events, franchise meetings, and seminars. In Cleveland, Akron, Canton, Columbus, Pittsburgh and surrounding Ohio areas, we offer affordable group training with customized 360 ˚ Online marketing strategies that are easy for your team to implement. Each training session is customized to address your specific company’s needs related to SEO, Social Media Campaigns, Social Media Monitoring, Reputation Management, and Online Advertising including: Display Ads, and video. Contact Us Now about speaking about online marketing, SEO or Social Media.